I don’t respond to book review requests anymore because I am so behind in my reviews, but I was intrigued by the description of this book and the author’s assertion that he didn’t need a review written by a certain date. So, I accepted and here I am writing a review 9 months later. 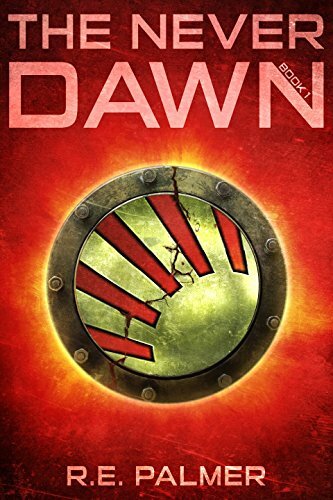 The Never Dawn is the first book in a dystopian trilogy about an underground society of people tirelessly working to be able to someday return to the surface of the earth. Noah’s work is very monotonous and repetitive but he’s highly motivated to do a good job and win approval from “Mother”—the mysterious leader of the group. Noah is not really sure how his work will help, but he knows the more units he completes, the closer they’ll get to being able to go home. Noah’s faith in the system is unshaken until he meets Rebecca—a beautiful girl that makes him question everything. Together they begin to realize that things are not quite what they seem. There have been many dystopian stories, making it difficult to find one that’s different. The Never Dawn is—it made me think about control and freedom and choice. Although you can guess what the true purpose of Noah’s work is, the twist at the end of the book is unexpected. I found myself really wanting to know what happened next—so much so that I bought the second book on my own.